Tonight (Tuesday, 12/13) the Philadelphia Film Society present a Bloody Christmas double feature of Hobo with a Shotgun and Tucker & Dale vs. Evil at the Trocadero (they’ll also screen Hobo director Jason Eisner’s killer Christmas tree short Treevenge). Showtime is 8:00 PM, admission is $3 that goes towards popcorn or a drink. 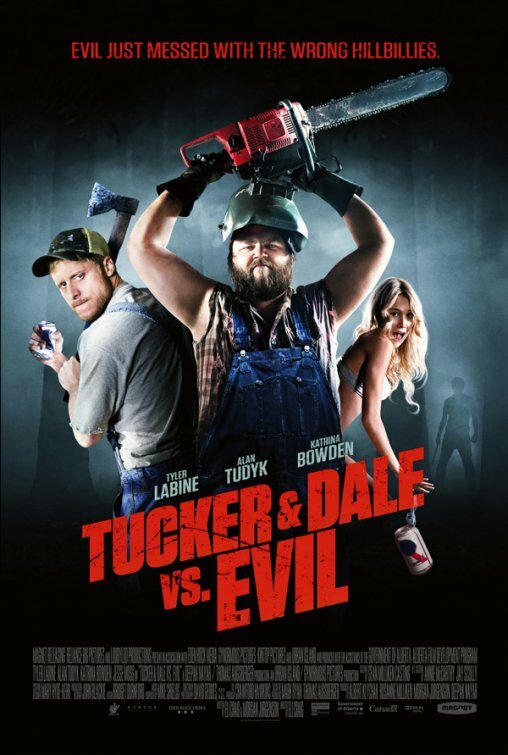 And in honor of tonight’s screening, the PFS have granted Cinedelphia two Tucker & Dale Blu-rays that have been autographed by star Katrina Bowden (30 Rock). E-mail to enter, deadline is Thursday 12/15 at noon, we’ll pick two winners at random. Bloody Christmas continues at the Troc next Tuesday (12/20) with a “bad holiday sweater party” featuring a screening of Norway’s modern Christmas classic Rare Exports: A Christmas Tale. « Medium Rare Cinema presents Burn!